Largest inventory of fully warranted OTDRs; overstock forces lowest prices ever offered by SurplusEQ.com. 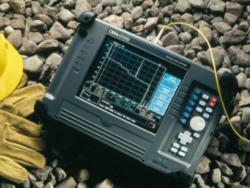 SurplusEQ.com, a leading provider of new and used OTDR and other fiber optic testing equipment. The largest inventory of fully refurbished, newly calibrated OTDRs in the company's history is now available. Each OTDR will be calibrated prior to shipping to the customer. This is the largest number of OTDRs made available at one time in the company's history. An optical time domain reflectometer (OTDR) is an electronic tester that is used to measure time and intensity of the light signals traveling down optical fiber cable used in fiber optic communication networks. OTDRs are essential tools in detecting and testing the slight optical loss experienced due to reflection from fusion splice, connector, or fiber break. SurplusEQ has a large stock of GN-NetTest CMA-4000, CMA-4000i, CMA-4500 and CMA-5000 OTDRs and batteries and batteries. Nettest was acquired by Anritsu Corp. Each OTDR is refurbished, and will then be calibrated by the factory-trained technicians at Legacy Fiberoptics (legacyfiberoptics.com) before being shipped to the customer, assuring the quality of each unit. The NetTest CMA-series OTDRs are well-known in the industry to be among the most reliable and even years later are highly prized by fiber optic technicians worldwide. Legacy acquired the rights to service the discontinued CMA-series NetTest OTDR, and is fully qualified to perform factory-equivalent repairs and calibrations for many of the Corning, Siecor and Siemens Multi-Testers manufactured during the 1990’s and early 2000's. SurplusEQ.com offers a great assortment of quality brand-name and no-name new and used OTDR test equipment from manufacturers such as Agilent, Anritsu, CETC , Corning, EXFO, FIS, GN-NetTest, HP, Laser Precision, Photon Kinetics (PK), Tektronix, Wavetek, and others. SurplusEQ is a leading provider, and specializes in new, used and surplus OTDRs and other fiber optic testing and splicing equipment. Other products include electronic test equipment, semiconductor manufacturing equipment, telecom, laboratory and other equipment used in the high-tech industries. Equipment wanted! SurplusEQ buys, sells and trades a wide range of high-tech equipment and excess inventory. Liquidate excess or unused capital equipment for cash, or trade for anything we sell. Whether you have one item or an entire facility, SurplusEQ helps customers recover fair value from their surplus high-tech assets through trade-ins, consignment and purchasing. Visit http://www.surpluseq.com for new and used high-tech equipment. The specialty blog, http://www.fusionsplicers.org, offers news and information on fusion splicers in fiber splicing tools and techniques, including new and used OTDRs and other optical testing equipment.